On the desktop or on the go, Seagate external hard drives get great reviews. Need speed to burn, and have the budget to match, then check out the Samsung T5. It's tiny, too. For wireless backups, WD makes the best drive -- and it's an especially good choice for photographers. Available in capacities from 3 TB to 8 TB, the Seagate Backup Plus Desktop Drive annihilates its rivals in tests with its speed, ease of use and low cost per gigabyte. This paperback book-sized slab takes up little room on your desktop. It transfers files quickly and quietly, and Seagate even throws in 200 GB of cloud storage for free. The Seagate Backup Plus Portable Drive edges out its rivals in both speed and cost-per-gigabyte. It's slim and light, transfers data quickly, and gets high reliability ratings from owners. The value is good, especially for those that want lots of storage capacity in a very portable package. It's available in 4 TB and 5 TB versions, and slimmer versions with lower capacities are available, too. Tiny, tough and outrageously fast, the Samsung T5 Portable SSD is the ultimate portable hard drive -- albeit with a price tag to match. It's about the same size and weight as a stack of 10 credit cards, so you'll barely feel it in your pocket. It flies through one expert's drag-and-drop test in 3 seconds flat (other portable drives take 12 seconds or longer). And its aluminum body can survive repeated 6.6-foot drops onto concrete. 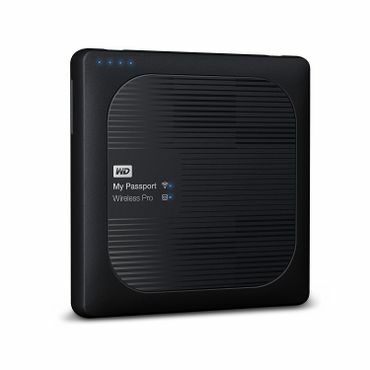 The WD My Passport Wireless Pro is one of the most versatile hard drives on the market. You can access its storage wirelessly from multiple computers, smartphones, or tablets. You can hook it up via a USB cable for faster file transfers, or -- especially great for photographers -- insert an SD card right into the drive to back it up automatically. It also works as a Wi-Fi hub and video streaming device. Battery life is up to 10 hours. This type of external hard drive usually costs the least per GB (about $100 for 3 TB of storage) and offers the biggest capacities. They typically require an AC connection for their power supplies, and they're meant to stay on your desktop. If you need to take your files with you from place to place, a portable hard drive is the way to go. They're compact and able to run off your computer's battery via a USB connection. Portable hard drives range from inexpensive spinning-hard-disk models (about $100 for 4 TB of storage) to extremely fast but relatively expensive solid state portable drives (around $130 for 250 GB). Wireless hard drives are truly cordless. There's no power cord (they're rechargeable) and no USB cord (you send files from your computer or mobile device to the drive by Wi-Fi). However, they're pricey -- about $150 for 1 TB of storage. An external hard drive can provide a place to back up your files so they won't be lost if your computer's internal hard drive crashes, but that's not one's only role. It can also expand your computer's storage capacity, giving you more room for large files such as digital video, high-resolution photos and music collections. In addition, these drives offer a simple way of sharing data between computers by simply unplugging the drive from one machine and plugging it into another. External hard drives can use two different types of technology. Hard-disk drives (HDD) are mechanical, writing to and reading from spinning platters. This type of drive offers the advantage of higher storage capacity at a relatively low cost per gigabyte (GB). Solid-state drives (SSD), by contrast, use flash memory in place of spinning disks. SSDs are significantly faster than HDDs, as well as quieter and more compact. In addition, their lack of moving parts makes them less vulnerable to physical damage. On the downside, they're also considerably pricier. We all know we should be backing up our data -- but nowadays, that's a massive task. 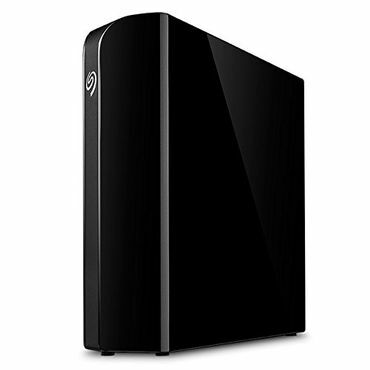 Experts say the Seagate Backup Plus Desktop Drive (Est. $90 and up) makes it easy, quick and affordable. Inside this unassuming little paperback-sized slab lurks vast storage: 3 TB (Est. $90) or 4 TB (Est. $120), or you can opt for the Seagate Backup Plus Hub version that adds two front USB ports in 4 TB (Est. $100), 6 TB (Est. $145) or a "cavernous" 8 TB (Est. $180) that's ComputerShopper.com's Editors' Choice. Other experts as well as owners like it as well. "It's an easy recommendation," CNET's Dong Ngo says. It's also the top desktop drive according to both PCMag.com and TheWirecutter.com, and it earns rave reviews from owners at BestBuy.com, Amazon.com and BHPhotoVideo.com. It's easy to see why. This drive absolutely slays its rivals in tests. It's very fast via USB 3.0 (and backwards compatible with USB 2.0), so backups won't drag on forever. It works with PC, Mac, iOS, and Android, and is supplied with Seagate Dashboard software that makes saving content posted on social networking sites (Facebook, Flickr and YouTube) a snap. It even throws in 200 GB of cloud storage for free. And it costs just pennies per gigabyte of storage. Seagate backs the drive with a two-year warranty, but that doesn't include data recovery. "Just be sure your most crucial data is backed up somewhere else, too -- 8 terabytes of memories is a lot to lose," ComputerShopper.com's Matt Safford warns. The Western Digital My Book (Est. $95 and up) is also worth considering, especially if you need a larger (8 TB) drive. It's priced similarly to the Seagate ($95 for the 3 TB version, for example, and $200 for 8 GB) and boasts reviews from thousands of satisfied customers at retail websites. It carries a longer three-year warranty than the Seagate, though data recovery still isn't included. TheWirecutter.com's Justin Krajeski specifically likes the 8 TB My Book, which proves faster than the 8 TB Seagate in his tesing. However, he finds that the smaller-capacity My Books are much slower, and Krajeski doesn't recommend them. Among portable hard drives, the Seagate Backup Plus Portable Drive (Est. $105 and up) looks like a top choice. It garners thousands of largely positive reviews at Amazon.com and BestBuy.com, and earns 4 out of 5 stars at CNET. In head-to-head speed tests at PCMag.com and TheWirecutter.com, the Seagate Backup Plus Portable Drive outruns its rivals -- and it costs less per gigabyte, too, at $100 for 4 TB of capacity (there's also a 5 TB version for about $140). On top of that, Seagate throws in 200 GB of free cloud storage. Those factors combine to earn the Seagate its Best Reviewed status. 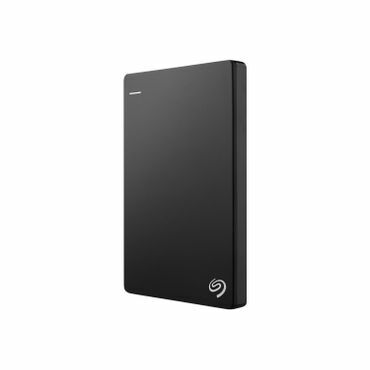 For similar performance in a slimmer package, the Seagate Backup Plus Portable Slim (Est. $60 and up) and Seagate Backup Plus Portable Ultra Slim (Est. $65 and up) earn equally high marks from experts and owners, and again get feedback from thousands of mostly happy users at Amazon.com and BestBuy.com. They're 12.1 and 9.6 mm thick, respectively (compared with 20.35 mm for the regular Seagate Backup Plus Portable). Capacities range from 500 GB to 2 TB for the Slim, and from 1 to 2 TB for the Ultra Slim. If your need for speed (and miniaturization) trumps any budget concerns, you should also consider the Samsung T5 Portable SSD (Est. $130 and up). This tiny drive is the same size and weight as a stack of 10 credit cards. It's rugged, too. Samsung says its aluminum-cased drive can survive repeated 6.6-foot drops onto concrete. Virtually every expert that has reviewed the tiny drive comes away mostly to completely impressed. As for speed, the T5 proves three times faster than our Best Reviewed Seagate Backup Plus Portable Drive in PCMag.com's drag-and-drop test, using USB 3.0 -- and four times faster using USB-C (which the Samsung has, but the Seagate doesn't). The Samsung includes both USB-C and USB-C-to-USB 3.0 cables. Inside this little wafer, you can store up to 2 TB of data, but you'll pay dearly for the privilege: Where the Best Reviewed Seagate drive will run around $100 for 4 TB of capacity, the highest capacity (2 TB) Samsung T5 will cost you around $800. If that doesn't faze you, or if you only need modest storage (the 250 GB version costs a more modest $130), it's worth noting that Amazon.com customers love this tiny SSD and its predecessors. 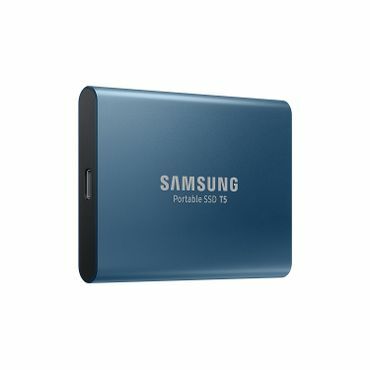 The discontinued (but still available at retail) Samsung T3 Portable SSD (Est. $120 and up) earns 4.6 out of 5 stars with more than 900 reviews posted, and while user feedback is much, much slimmer for the new T5, which was released this past summer, it looks to be moving in the same direction. The drive is covered by a three-year warranty. Most external hard drives are connected directly to your computer by a USB cable. Wireless external hard drives use Wi-Fi instead, and they can be accessed from a computer, smartphone or tablet. Because there's no cord, wireless drives are more convenient to use with laptops and tablets than a desktop drive (which keeps you tethered to a desk or table) or even a wired portable hard drive. Wireless drives are also small enough to carry with you on the go. Photographers are the major target audience here. Wireless hard drives allow photographers to quickly and easily back up all of their photos while they're on the road, without lugging a laptop around. The WD My Passport Wireless Pro (Est. $160 and up) makes this task even easier: It includes an SD card reader, so you can just insert your SD card right into the drive and voila -- all of the photos on it are backed up. "We don't think wireless portable hard drives are useful for most people at this point," TheWirecutter.com says, "but we recommend the WD My Passport Wireless Pro 2 TB for professional photographers on the move." This drive is available in 1 TB (Est. $160), 2 TB (Est. $170), 3 TB (Est. $185) and 4 TB (Est. $220) versions. It works with PC, Mac, iOS and Android devices. The WD My Passport Wireless Pro not only allows you to wirelessly back up your files (including photos and videos from your smartphone or tablet), but can also act as a Wi-Fi hub (so you can share a Wi-Fi connection with up to eight devices) and video streamer (using Plex media server software, you can stream up to eight stored HD videos to multiple devices simultaneously, including your smartphone or smart TV). The drive syncs with common cloud storage services, including Dropbox, Google Drive, Microsoft OneDrive, WD MyCloud and Adobe Creative Cloud. DPReview.com's Dale Baskin put it to a real-world test: He hit the road toward Canada's Northwest Territories with his iPad, the WD My Passport Wireless Pro and a slew of DSLRs, to photograph the northern lights. "With each camera capturing hundreds, or even thousands, of photos per night while capturing time-lapse sequences ... I would have to recycle my cards and needed a foolproof, reliable way to back up all the images," Baskin says. Bottom line? It worked. "I quickly came to appreciate the ease-of-use of the My Passport Wireless Pro," Baskin says. "Upon returning to the hotel every morning, I simply turned it on and began inserting cards to back up while I focused on re-organizing my gear and charging batteries ... All I had to do was insert a card and go about my business." The drive automatically organizes the files logically. The only real drawback: RAW files can't be viewed as thumbnails at all; you have to shoot RAW + JPEG. And it doesn't have a CF card reader, so you'll have to use Wi-Fi or USB to back up CF cards. (At the time of Baskin's review, the WD used USB 2.0, but it has since upgraded to the faster USB 3.0). Owners overwhelmingly praise the WD My Passport Wireless Pro at BHPhotoVideo.com and BestBuy.com. However, about one in four Amazon.com reviewers downgrade it to the lowest 1-star rating. We saw many complaints that it's buggy and not intuitive to use -- a complaint echoed by Melissa J. Perenson at ComputerShopper.com, who says the WD's "usability hiccups gave us pause." To identify the best hard drives in each category, we studied reviews from a variety of tech publications and websites, such as PCMag.com, CNET, ComputerShopper.com, DigitalTrends.com, DPReview.com and TheWirecutter.com. These sources conduct detailed, in-house tests of external hard drives to determine how fast they are at reading and writing various types of files. Reviewers also talk in detail about usability, evaluating the setup process, the software that comes with the drive, and the ease of using it with various types of third-party software. In addition, they offer comparisons of value, noting how a particular hard drive compares to others in its price range. The one factor that professionals can't always evaluate is long-term durability. To fill in that gap, we turned to the hundreds or, in some cases, thousands of individual user reviews posted at retail sites such as Amazon.com, BestBuy.com and BHPhotoVideo.com.